When I was growing up, my father’s signature dish was his Chili Soup. On cold dark windy evenings in the middle of Kansas he would combine fried hamburger meat and chopped onion, pinto beans, tomatoes and seasonings into a delicious bowl of soup. Simply topped with hand-crushed saltine crackers, that was how we rolled. 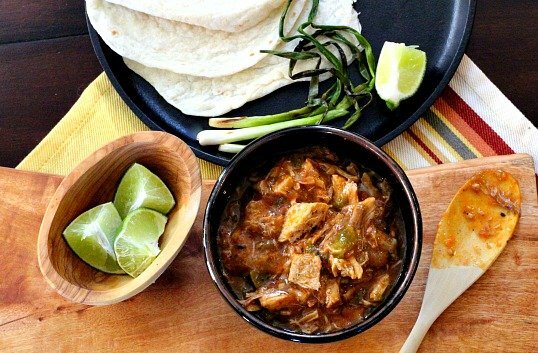 Over the years I branched out to eating chili with flour tortillas, corn tortilla chips, topped with cheese, sour cream or chopped green onions, even chocolate shavings. And thanks to a Texan I now love eating chili with cornbread, and using this moist cornbread recipe. What’s Up With Flaky Sad dry Cornbread? My love affair with corn bread got off to a very long, dry, grainy, stick in the throat start. Jiffy, Marie Calendar’s, and even homemade found me wondering what the big attraction was. I’m very well aware that any of my friends that are from Texas, live in Texas, or even are married to a Texan wouldn’t hear of having a bowl of chili soup without it. So started the search for a moist cornbread recipe that I truly loved. One day, out of the blue, my good friend Linda, unwittingly brought over a pan of the most delicious and moist homemade buttermilk cornbread that I have ever tasted. I was an instant fan and finally understood what all the fuss was about. I have taken her recipe and with a couple of tweaks, made it even moister, creamier and more Southwestern. Making this cornbread with creamed corn rather than kernels is one of my secrets. Make sure to drain a most of the liquid from the creamed corn, or it will be too moist. The type of cheese is another. I’m a big fan of Muenster for any Mexican, Southwestern recipe. Give it a try. If you don’t like the creamy results, you can always switch to cheddar or Monterey Jack for your next batch. Move over crushed saltines. 🙂 This is what belongs next to every bowl of chili you serve up! I don’t know what I’d do without my Le Creuset square baking dish for this recipe. It’s study enough for the oven and pretty enough for the table. I’ve included an affiliate link for your convenience. 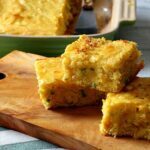 In leu of flour tortillas, this Cornbread recipe is also great served alongside my recipe for Hatch Green Chile with Pork. What a great combo. And it’s fun to make in a cast iron skillet for a rustic presentation. I hope you give this easy homemade cornbread recipe a try. And if you do, please come back and let me know how you liked it and give the recipe a star rating. Your feedback is valuable to me for developing future recipes. And if you have a favorite cornbread recipe, let me know, I’d love to give it a try. And wouldn’t it be fun to let this one dry out to make this Cornbread Dressing with Chorizo and Jalapeno? You'd almost swear there was pudding in this recipe. Using creamed corn and Munster cheese is the secret to this super moist cornbread recipe. In a separate bowl, whisk together the eggs, milk, and oil. Gently fold the liquid ingredients into the dry ingredients until a batter is formed. Fold in the corn, cheese, and jalapenos. Pour batter into a lightly greased 8-inch square baking pan. Bake for 20-25 minutes, until the crust is light-brown and a toothpick inserted in the center comes out clean. Remove from the heat and let cool a few minutes. Remove seeds and most of veins from the jalapeno. This will control the heat level. You can also use cheddar or Monterey Jack Cheese instead of the Muenster. If you don't partially drain some of the liquid from the Creamed Corn, this will turn out too moist. Speaking of Southwestern Inspired: This is my friend Linda and our little Z. Zia is our little Yorkie, whose name, soon after joining our family, was abbreviated to simply Z. Zia hails from New Mexico, and as her sun symbol name implies, is a ray of sunshine in our life. This photo is Linda holding puppy Zia the day LeRoy delivered all 2 pounds of her to Colorado. It must be a Kansas thing, because I make my chili the same way as your dad — basic but hearty. It’s so much fun to have a “middle of Kansas” connection. As always thanks for stopping by Russ. Looks great! I love cornbread. This one looks nice and fluffy. I’ll try it! Oh, Z is so cute. Today would be the perfect day for a warming chili and your cornbread. 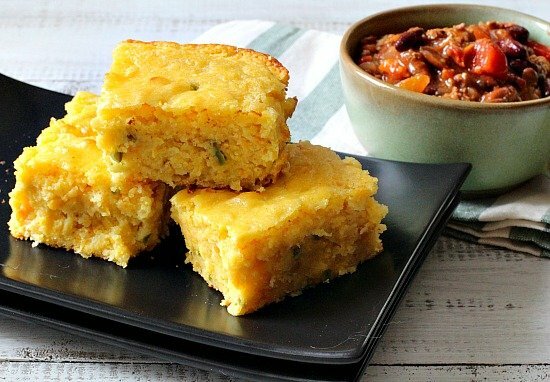 Today is certainly a chili and cornbread day. This sounds yummy! Thanks Susan. Did you get my message about lunch? I have been looking for a good cornbread recipe. I love the inclusion of corn. I’m going to give this a try. Thanks for the recipe! I’m not a big fan of cornbread for the reasons you stated, except when it’s hot out of the oven with a crusty exterior from the cast iron skillet, split open, and slathered with good butter. After that point I only eat it if I’m crumbling it into liquid or putting liquid on it. I grew up on soupy chili and Bev and I still make it that way. As a kid I often crumbled in so many saltines that they soaked up all of the liquid – still do it on occasion. It gets cold and windy in Kansas??? I wondered about the z too! Chili is my other Yorkie. I think chili is best served with cornbread and have been looking for a good recipe with corn in it forEVER! This recipe sounds super with cheese and chopped jalapeno peppers. Can’t wait to try this out on my guys. 🙂 LOVE that picture of little Z. As they say in Texas – she is prayshus! -and that picture is beautiful! buttermilk and/or sour cream make corn bread that everyone will remember. my mom used to add vanilla and a ton of sugar … musta been the yankee in her! Hmmm, I thinkin I like that vanilla idea. I’d also like to try it with creamed corn. That’s funny, I wondered about Z as well. Now we know. 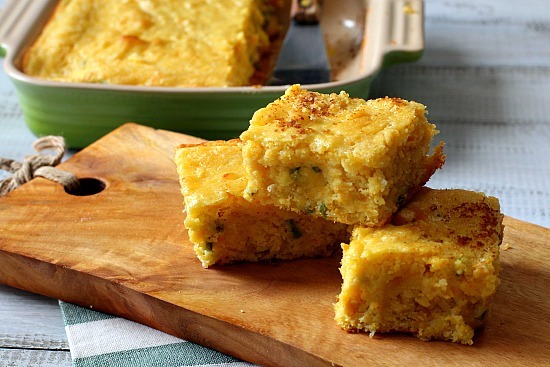 This looks like a delicious corn bread…not too sweet. This is a must have with chili. oh wow Z is too cute and great cornbread recipe yum love fresh corn bread and your Dads soup sounds lovely 🙂 looking forward to seeing you crepes oh u could do a chili one! if you would like to join us on the next recipe swap (we will be doing one a month) drop Christianna at Burwell General Store a note (link on my page) and she can sign you up. The more the merrier! I’d love to too Dennis. I’ll try. Do you know, I’ve only had the dry kind of cornbread and was on the verge of trying out a yeast-based recipe. Linda’s recipe looks infinitely superior! I hope you like it Liz. It’s in my recipe database and the only cornbread that I’ll eat. I wouldn’t mind trying a yeast-based recipe either. I will definitely have to try this corn bread recipe. 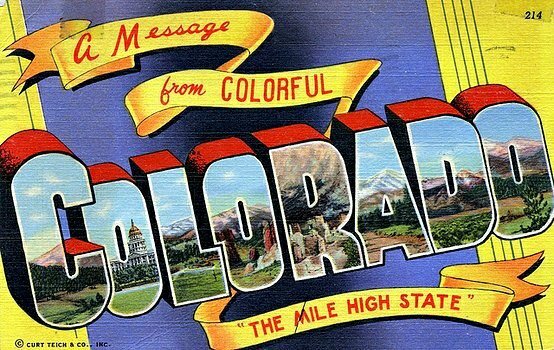 Ever since moving to the high altitude of CO all the cornbread recipes I have tried have been dry – I used to have great luck in KY. I’ll let you know how I do. By the way, Lea Ann, is there a way download and or print the recipes? Or do we just do the copy and paste? You just have to copy and paste. Someday when I’m self hosted, I’m going to add that feature….unless you know how to do it? Thanks Carol. Hope you like the recipe. You are so right. I can’t say I’ve had a cornbread that wasn’t dry. Buttermilk and cheese have to make this a deliciously moist corn bread. Time to give corn bread another try with Linda’s recipe. Kristie, I think I’m going to sneak some creamed corn in next time. I’ll let you know how that works. I grew up in the south and freshly baked cornbread was on our dinner table almost every night. My mother’s recipe is similar to Linda’s, at least Linda’s basic recipe but without the corn, cheese and peppers, always baked in a well seasoned black iron skillet. She always used buttermilk and my father saved a piece of cornbread to have crumbled with cold buttermilk before bed. I was shocked when I married a Yankee to find out northern cornbread is sweet and eaten at breakfast with syrup. There are definitely sugar issues that divide the north from the south. Great post Lea Ann. You’ve certainly brought back memories for me. Sam, I really know nothing about corn bread. It really wasn’t part of my family history at all. I think growing up on a wheat farm (as opposed to a corn farm) always found flour based bread on our table. When I finally started having some, here and there, someone did serve it with syrup, which I didn’t really like at all. I must be a Southerner at heart. 🙂 As always, thanks for the comment. Count me as one of those Texans that just doesn’t like cornbread much, but with your endorsement I might be tempted to try this. I must confess I love me some Jiffy spoonbread. Jiffy Spoonbread????? What is that? Once I tried cornbread with peppers in it, I never went back to without. Even for breakfast. And even with peanut butter spread all over. I never used to be a big fan of cornbread, but now I like it if it’s not too dense. Your recipe sounds real good. I always use a copy cat Marie Callender’s, which also has flour in it to lighten up the cornmeal. Z’s a baby doll! Thanks so much Karen, she’s a very spoiled babydoll. :-). I think I’ve used a Marie Calendar recipe too and thought it was pretty good. As always thanks for stopping by. Corn bread is good. Corn bread with peppers in it rocks! I couldn’t agree more Chris. I’m a big fan of jalapenos and they do cornbread just right. corn whatever mood I am in and I put sour cream in little dollops on top of the mixture after I have put it in the pan and I swirl it around so it’s not one big glop and then I put shredded Mexican Cheese on top. I put Jalapeno also. Fabulous!!! !